A good sample to a music producer is like candy to a kid. It’s tasty and it gives you a headrush. A sample with great potential changes everything. It can become the hook to a song. Some would argue that a great producer can take a mediocre sample and make it great, make it their own. And I believe that’s true. But a quality sample gives you much more to work with. So to help you find the best free music samples possible, here are three sample-sharing websites that you’ve got to check out. SampleSwap is not just a website full of free samples. It offers much more than that. Yes, it currently has over 7.5 GB of free (and legal) samples. But it also has royalty-free songs that you can use for your YouTube video, podcast, remixing, or DJing. The reason there’s so much music and so many samples available for free is that the musicians themselves submit the music. This isn’t Limewire 2.0. In fact, you can submit your music if you’d like. Each piece of music and every single sample goes through a review process. The proprietor of the website, Canton Becker, a musician, music lover, and tech-savvy fellow, handles this job. On top of having a library of samples and songs, SampleSwap has a couple resources for helping you get creatively unstuck. One option is for you to remix a track. And the other is “Pick An Oblique Strategy Card,” which is where you receive a prompt that’s meant to help inspire you. So if you’re looking for free music samples, royalty-free music, and inspiration, SampleSwap is a great place to start. People know LANDR mainly for its service that automatically masters your song. But in recent years, they’ve rolled out music distribution as well as a stellar sample library. They’ve put together an exclusive catalog of artists and producers and offer the samples for free. When filtering through the library, you can choose the Genre, Type, Instrument, BPM, Key, and Artist. You can download a simple four-chord synth, a funky guitar lick, a screaming sax riff, a sweet drum fill, and so much more. 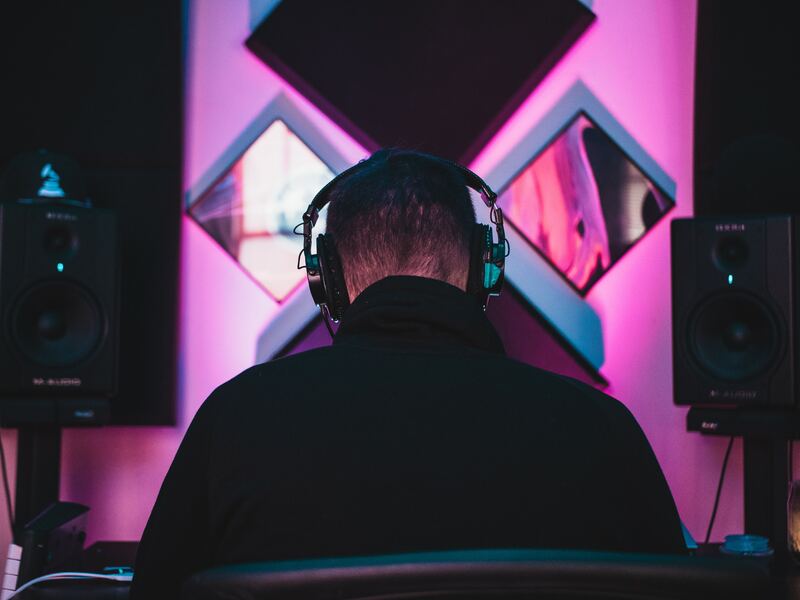 Each sample has been professionally produced, meaning it’s ready for you to include in your song as-is or after you’ve chopped, pitched, and stretched it. There’s also an option to download Packs (packages of samples that go together), but that requires you to create an account. It appears that you can create a free account and still get access to at least some of the packs. LANDR must have come to some sort of agreement with the artists that allows them to give away so many great samples for no money. Great news for music producers on a budget! Any audio you find on the Library Of Congress’ website is up for grabs. And they have full songs, snippets of people talking, and much more, all samples you can use in your song without fear of running into copyright infringement. In late 2018, the Music Modernization Act passed, stating that sound recordings will enter the public domain 95 years after they were released publicly or 120 years after they were originally recorded. Previously, it was 50-75 years after the composer’s death. You can browse the LOC’s general audio files or check out their National Jukebox. Either way, there seems to be an endless amount of old songs and random audio recordings. If you’re a producer who loves using that type of stuff, the LOC is the place to go. Caleb J. Murphy is a singer-songwriter and music producer based in Austin, Tx., and the founder of Musician With A Day Job, a blog that helps part-time musicians succeed.